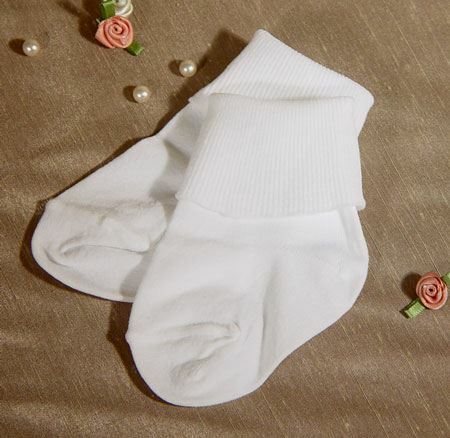 Plain boy's nylon anklet turn cuff socks for Christening and special occasins. High quality fine gauge 100% nylon. NB - 24 mo. From Little Things Mean A Lot. Christening socks are Final Sale. Ships in 1 business day.